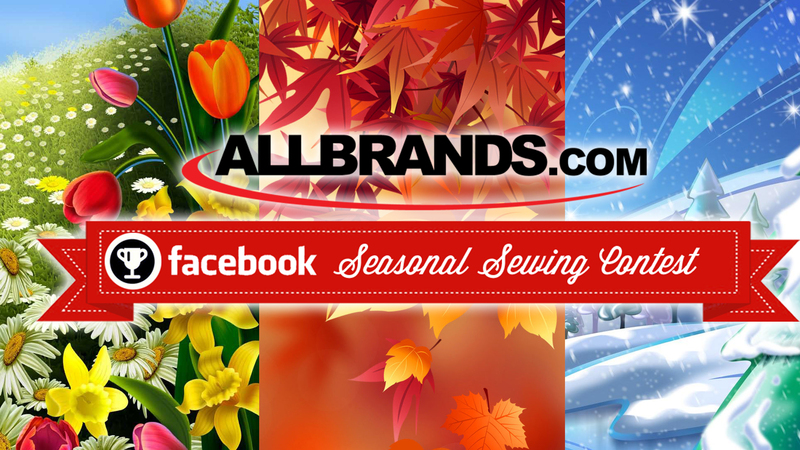 INTRODUCING SEASONAL SEWING FACEBOOK CONTESTS! Show off your beautiful seasonal creations. Get your friends to vote for your photo for a chance to win great prizes! Facebook fans can now enter theme related photos of their creations for a chance to win great prizes from Allbrands.com! Entries must be hand or machine sewn. Enter up to 5 times to increase your chances. The Photo With The Most Facebook “Likes” Wins!